Effective July 1, 2015 – Switchblade knives (longer than 2-inches), dirks, daggers and belt buckle knives no longer prohibited. Machetes may not be carried concealed. Caution: There are still municipal laws in effect, especially in Clark County’s Las Vegas, North Las Vegas, and Henderson. Effort to remove prohibitions and enact statewide uniformity. UPDATE (May 23, 2015) – SB 176 passed the Nevada House this week and is headed to Governor Sandoval for signature. We’ll recap what these changes mean once it is signed by the Governor. 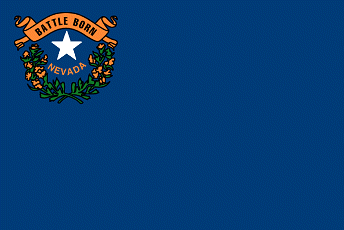 UPDATE (April 8, 2015) – An amended version of SB 176 has passed the Nevada Senate unanimously. It does NOT include knife preemption and it does NOT make machetes legal. This amended version SB 176 will now be considered by the House. UPDATE (March 3, 2015) – AKTI’s legislative consultant testified at a public hearing of the Senate Committee on Judiciary in support of SB 141 to make substantial changes to Nevada knife laws. Immediately following he added testimony regarding SB 176 which was introduced after SB 141. You can review the testimony and questions on AKTI’s YouTube channel. The committee will be discussing both bills further. Contact them now and politely ask for support to remove restrictions for knife users. Gustavson and Goichoea yesterday. NV SB 176 would remove prohibitions on dirks, daggers, switchblades and belt buckle knives. It would NOT repeal the prohibitions on machetes. The 2015 session of the Nevada Legislature began on Monday, February 2, 2015 and is scheduled to adjourn on June 3rd. Nevadans – Sign up as a Free Grassroots Supporter to receive any email notices of Call to Action.